Our company has offices located in major economic hubs in China. We offer optimal coverage and reliable performance you can rely on. 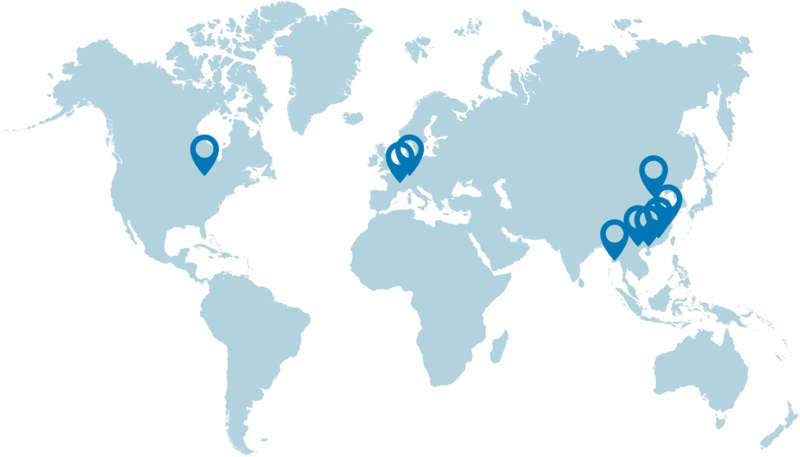 Our headquarter near Munich, as well as our location in Hong Kong, are your first points of contact for your business in China. Whether it is about certification, sourcing, logistics or quality assurance - we aim to process all clients’ requests within 24 hours made possible by our global offices in multiple time zones and our multilingual team. We value your trust in our company, and as our promise, we will best provide a transparent timeline and budget management. Technical support to our customers is mainly provided by our colleagues in China, who, through their multi-facet career backgrounds, have built robust relationships and established networks with the relevant authorities in China. Cisema has five offices in China in Hangzhou, Beijing, Shenzhen, Qingdao and Hong Kong. Each office was strategically placed to maximize efficiency and customer satisfaction, with the Beijing office spearheading the certification processes, while our Hangzhou office specializes in sourcing in conjunction with our other branches. Our offices employ the most up to date IT security measures to ensure our data is both secure and accessible by our staff and customers. Our locations are situated that we are in close proximity to China’s most important economic centres, especially the Yangtze Delta, the Pearl River Delta and the Bohai Bay. The short distances to customers and authorities result in an efficient response time and a high degree of flexibility. Long-standing contacts to the authorities’ key personnel and various co-operations with test laboratories further enhance work process efficiency. These excellent connections also enable Cisema to anticipate and notify respective chambers of commerce accordingly. Cisema’s proactive stance continues to be an asset in assisting our clients in their business ventures.